Dr. Adair decided to end her successful career as a Professional Counselor after 26 years so she could “follow her next dream.” She then created The Empowerment House where she coaches women and teens through life changes. She teaches them how to operate and thrive despite of their circumstances and shares techniques that help them empowerthemselves to “push through the pain” in their lives and become successful individuals. She is a popular, dynamic, powerful and entertaining motivational speaker, and Dr. Adair has internationally delivered successful presentations in countries such as India, Canada, and The Bahamas. As the creator of the BELIEVE and GO HARD systems, she imparts strategies that focus on leadership skills, creating a healthy balance, fulfilling dreams and reaching destiny points. In these systems, she introduces six stages of self-empowerment that includes rejuvenating natural resiliency. 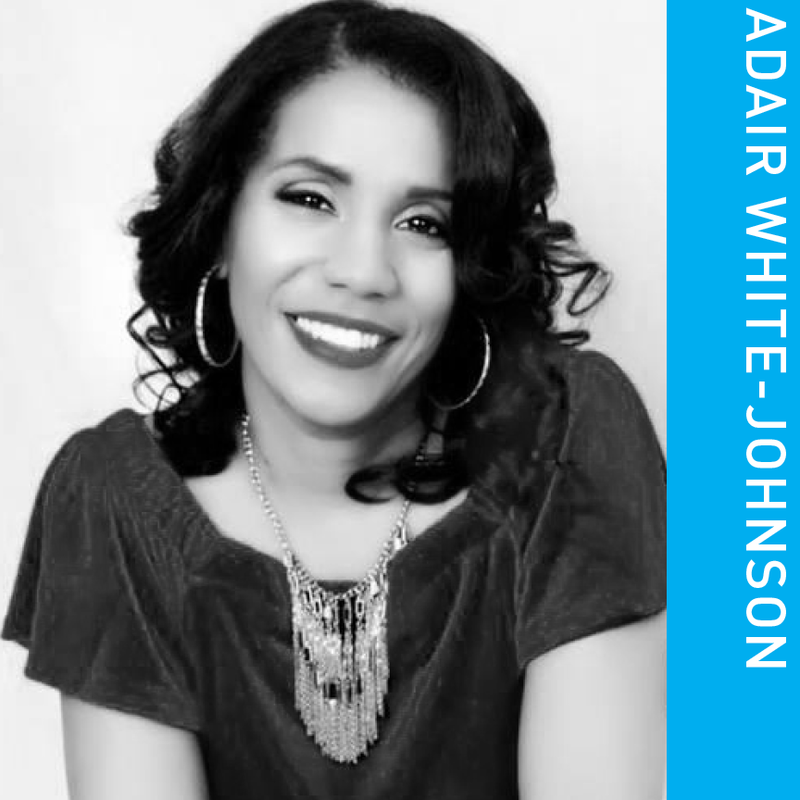 Also, Dr. Adair created The Johnson Tribe Publishing House (JTP), a full-service publishing agency that empowers, engages, inspires, motivates, promotes and teaches authors the skills of writing and publishing their books. A State University of New York at Buffalo graduate who earned a Ph.D., a Certificate of Advanced Studies and a Master’s degree in Counseling, Dr. Adair has provided motivational, creative and unique services for over thirty years. She also created an empowerment and resiliencycurriculum for teens. This program is aligned with the National Common Core Standards as well as the American School Counselor Association National Model. She has collaborated with The Still Standing Foundation to create a comprehensive and informative curriculum and program, “Teen Dating Violence, Unhealthy Relationships, and Academic Achievement: The Power of Connection.” Her third curriculum, “21 Ways to Get Over It! for Teens: What You Need to Know” motivates, inspires and empowers teens for leadership and success. She has been named as a State of Georgia Professional School Counselor of the Year and Writer of the Year and has also been featured inThe Huffington Post, Black Enterprise, Rolling Out, POSE, Glambitious, and BOLD magazines. Dr. Adair has appeared on several national, and international radio shows, podcasts and is the recipient of several academic and civic awards. As the International Bestselling Author of 11 books and 3 curricula that include “21 Ways to Get Over It! What You Should Know,” “21 Ways to Get Over It! What You Should Know for Teens,” “How to Get Over It! in 30 Days Parts I, II, and III,” “Teen Dating Violence and Academic Achievement: The Power of Connection,” “White Girl Speaks! Powerful Words of Inspiration for Leadership and Success in your Life,” “Get Over It! How to Bounce Back After Hitting Rock Bottom,” and “Get Over It! How to Bounce Back After Hitting Rock Bottom for Teens,” Dr. Adair focuses on teaching teens, young adults, and women how to become empowered, resilient and become change agents in their lives despite any trauma that they have experienced. Also, Dr. Adair trains educators how to use evidence-based, effective methods to work with youth who have been traumatized and need assistance. Dr. Adair has been married for twenty-eight years and is the proud mother of five children; her life mantra is “I am. I can. I will. I do.” and she seeks to share this positive outlook with every person she meets.